If you’re looking for an alternative to wooden fencing and gates, a custom fabricated steel fence may be the answer. Steel railing provide the ability to create transparency. A custom designed fence will blend into the existing structure. 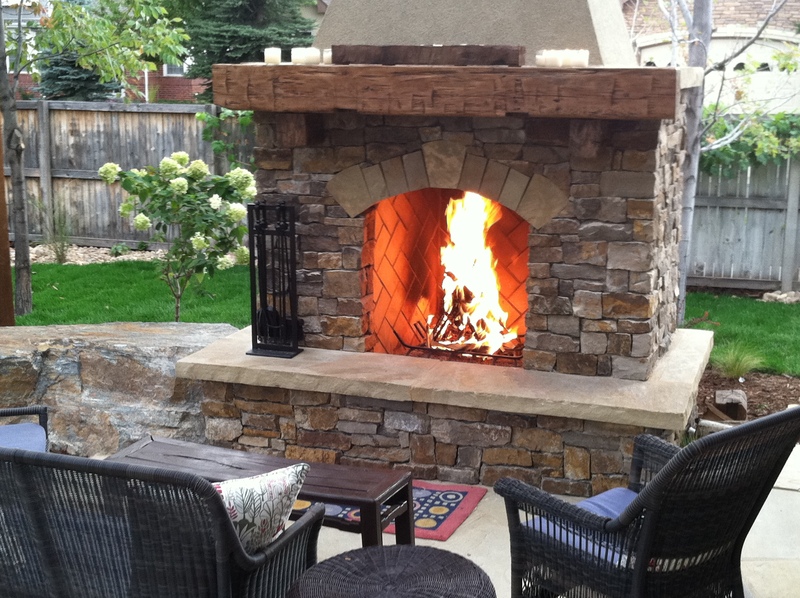 An outdoor fire place is a good way to warm up any landscape. Fire features not only allow you to enjoy your back yard late into the evening but also extends your enjoyment into fall and early spring. The custom reclaimed wood mantle in this picture came from a hundred year old barn in Telluride. Real stone and hand hewn mantel work well together to add a very rustic feel to this landscape. Our designer integrated a large accent boulder on the left side of this fire feature as an extension of the hearth and looks as if it’s been there for a thousand years!